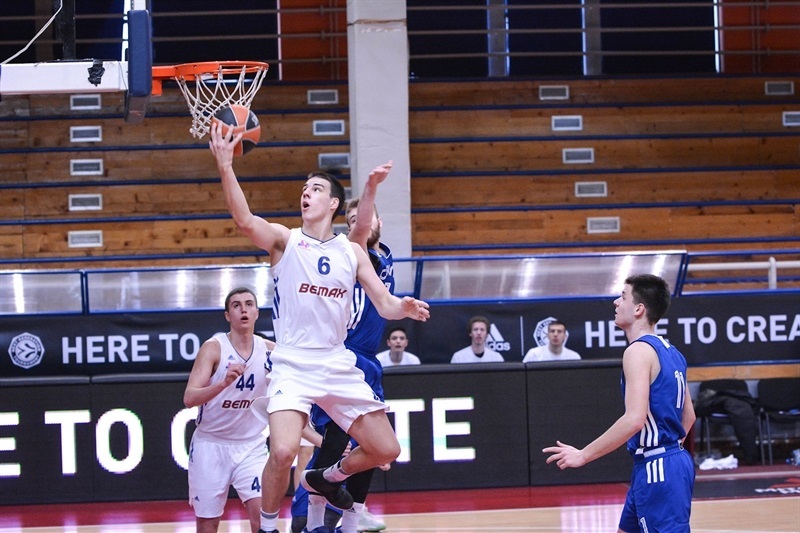 U18 Mega Bemax Belgrade collected its first victory at the Euroleague Basketball ADIDAS NEXT GENERATION TOURNAMENT Belgrade with a comfortable 99-71 win over U18 Cibona Zagreb. 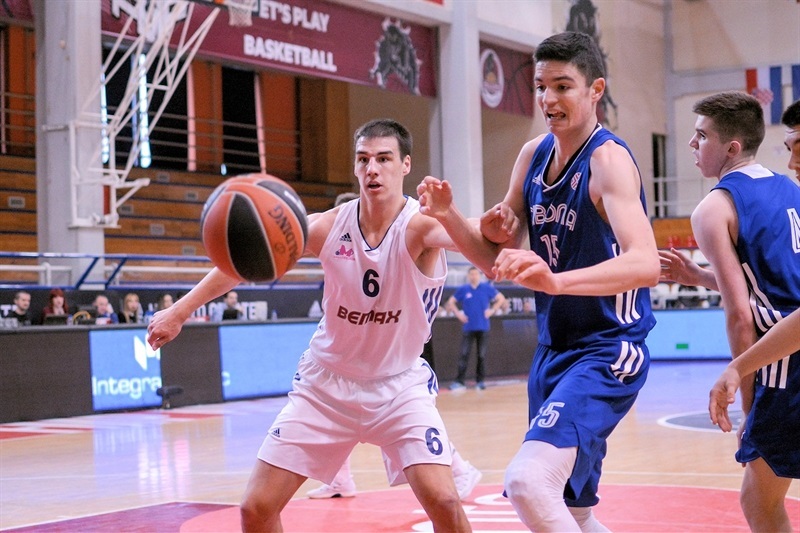 Mateja Jovanovic paced four Mega players with at least 15 points with 21 points while Amar Mehic added 18 points, Bogdan Nedeljkovic had 16 and Aleksandar Langovic chipped in 15 points and 7 rebounds. Mega improved its mark in Group B to 1-1 and remained alive for a spot in Sunday’s Belgrade final. 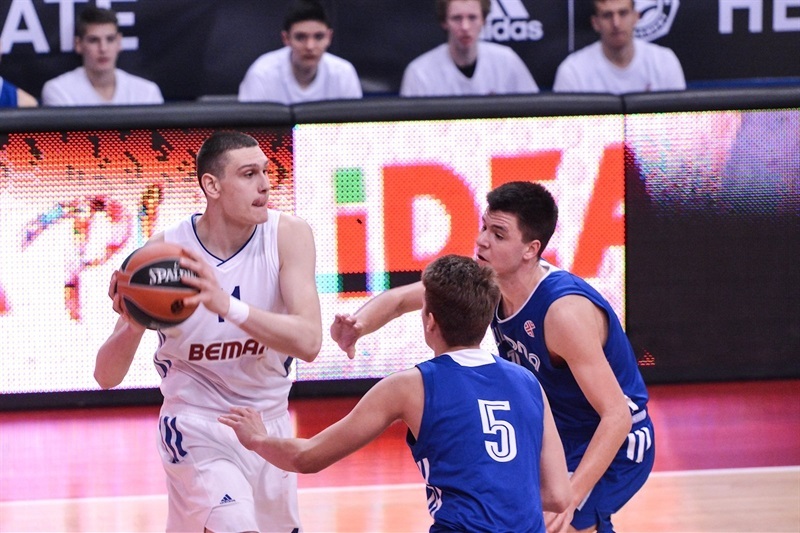 Cibona dropped to 0-2 despite 15 points from Luka Cvitanovic and 10 each from Danko Brankovic and Leo Menalo. 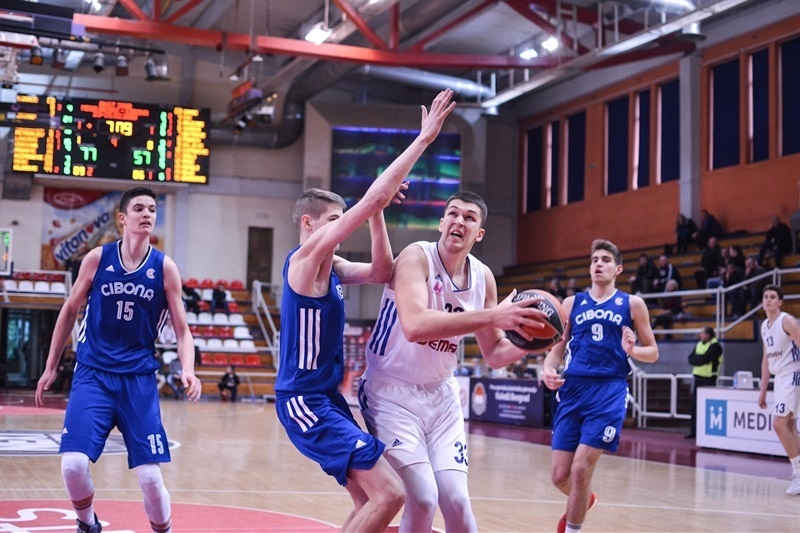 Cibona was up early 2-4 but Jovanovic’s three-point play gave Mega its first lead 5-4, and the Mega forward had scored 9 points in helping build a 14-6 cushion. 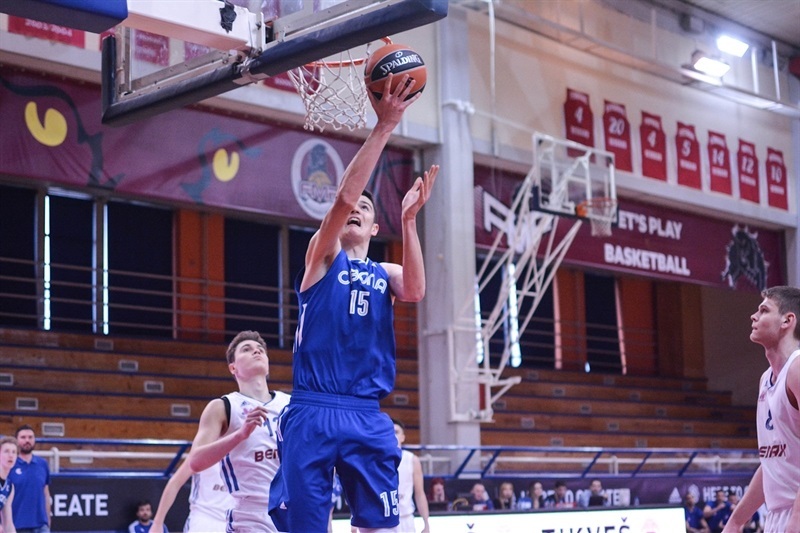 Cibona was able to cut the gap to 14-13 but Altin Islamovic hit baskets to bookend a 10-2 surge to put Mega up 24-15. And the Belgrade side hit the final 7 points of the quarter to lead 31-19 after 10 minutes. Pavle Kuzmanovic knocked down a three-ball as Mega increased the margin to 44-25. 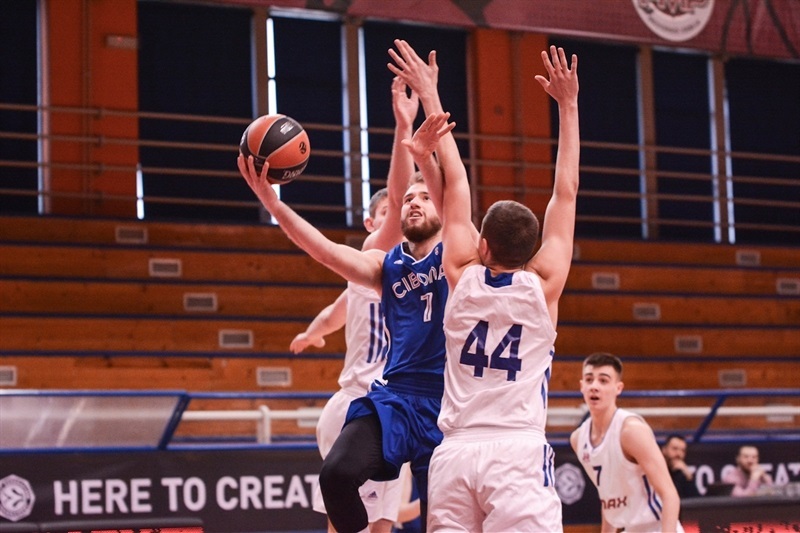 Cibona tried to cut into it but still trailed 46-30 and Nedeljkovic hit 5 points late in the first half for a 54-34 Mega advantage at the break. Five quick points from Cvitanovic got Cibona to within 54-39 and it was 60-46 after an 0-7 run. But Jovanovic hit for 4 points in a 10-5 spurt to move ahead 70-51. And Mega was up 73-53 after 30 minutes. 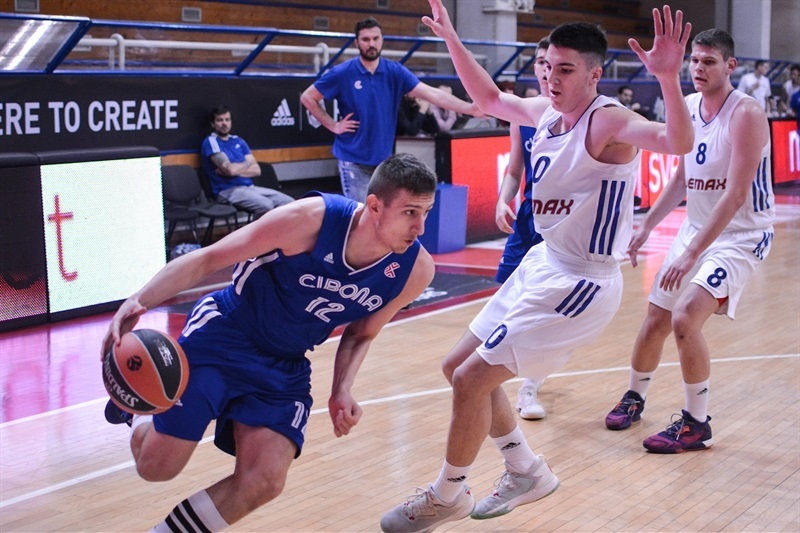 Mega did not let Cibona get back into the game, thanks in large part to Mehic, who scored 16 points in the fourth quarter, including 9 straight.